Mr. Finnegan is a partner in the firm and has a general practice with an emphasis in the areas of real estate, commercial litigation, land use and zoning and corporate matters. Before joining Twomey, Latham in 2001, Martin practiced law for nine years in Pennsylvania and New Jersey and with the firm of Berkman, Henoch, Peterson & Peddy, P.C. in Garden City. Martin left the firm in 2009 to accept an appointment to serve as the Town Attorney for his hometown of Southold. After nearly six years of service as counsel to the Southold Town Supervisor, Town Board members and all elected and appointed officials, Martin returned to the firm in 2015. Mr. Finnegan is a graduate of Lehigh University where he earned a degree in International Business and Government. He also studied at the University of Brussels, Belgium as part of a comprehensive study of the European Economic Community and NATO, and at the University of Padua in Italy where he completed intensive study of international business transactions and law. He received his Juris Doctorate at Widener University School of Law and is admitted to practice law before the state and federal courts in New York, New Jersey and Pennsylvania. 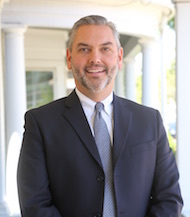 Martin resides with his wife and their seven children in Mattituck on the North Fork of Long Island where he has served as the President of the Mattituck Chamber of Commerce, as a coach for the Mattituck-Cutchogue Little League and as a member of the North Fork Business Advisory Board.